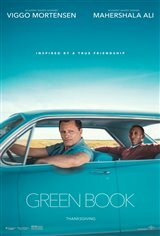 Viggo Mortensen and Mahershala Ali shine beautifully together, each playing to their own unique strengths. Mortensen's Tony Lip is both rough around the edges and believable. A street guy with a penchant for tough crowds and even tougher places Tony Lip is comfortable in his wiseguy persona. And yet...even old dogs can learn to be nice...sometimes. His ability to learn to appreciate the finer value of what it means to be �cultured� takes him on a tour of the country he never really knew, allowing him a firsthand glimpse into a world where colour and race means everything to everybody, forcing him to grow in ways he never thought possible. An outstanding performance. Mahershala Ali's �Dr. Shirley� is both striking in his enigmatic magnetism as well as stoic charm. An impeccably well-mannered gentleman Dr. Shirley is both the pair's saving grace as well as a walking disruptor, though by no fault of his own. There are strong tones of value where colour and class of yesteryear are concerned and the movie plays well upon those themes, often to a very real and very satisfying degree. The narrative is both incredibly well versed as well as poignant in its delivery especially when it comes to those little moments of high tension. It is direction like this that really take the movie and make it leap from the screen and touch our hearts in many ways. Ways that we, as movie lovers never see coming until we feel it tugging at our coattails. The settings are rich, real and offer a realistic look into the life of a travelling duo of mixed colour in the 1960's. The music, coupled with both the vibrant settings of the American South and the magnetic, soulful culture of Dr. Shirley's Chopin is simply beautiful. A great movie by all accounts! 5 Stars! I love this movie!